What is a Primordial Dawn? and around granite under the foam. The series “Primoridial Dawn” was initially inspired by the sandstone carving “Valley of the Shadow”; the four organic shapes frame the body of a sleeping infant. I was reminded of a rising yellow sun, the earth’s womb, a wavy line of water, and a sea-weed shape. Several of those shapes have become fully developed paintings on their own, but diagrams of the initial inspiration remained foremost in my mind while the work was being constructed. 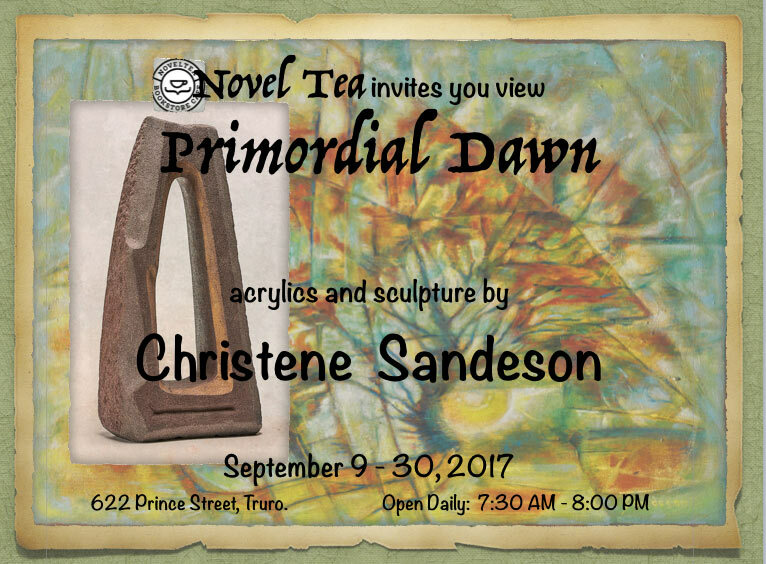 I hope you enjoy the collection of paintings and carvings inspired by the Primordial Dawn. Ray that is a lovely comment. The Flight to Heaven is my way of understanding what it is like to fly out of the body in search of the spirit realm. I think I have blogged on that particular art piece in an earlier blog. It was inspired (if that is the best word) by my husband’s death, and a memory of our walks on the beach. I really appreciate that you took the time to respond. Thank you.